The Dude makes for a fine Halloween costume for your resident pot smokers. You've got about a week until Halloween. By now, your friends are tired of the same dirty sheet you've used as both a ghost and toga god. 1. Towelie: The super-baked character from South Park is just that: a towel. Wander around with a blunt, offering made-up facts about towel safety. You'll need: A blue towel and a white sweatband on your forehead (or wrists). Bloodshot eyes wouldn't hurt. 2. Brian: Jim Breuer's character in Half Baked is part stoner, part philosopher. Be that person who corners everyone at the party to discuss the meaning of life. You'll need: A tie-dye shirt, fanny pack, jean shorts and sandals (bonus points for a yin/yang necklace). 3. Jay and Silent Bob: The duo made their first appearance selling weed outside a convenience store in Clerks. If you've got a tall(ish), hostile blond with a filthy mouth and a short, round(ish) brunette who only chain-smokes, you're golden. You'll need: One person needs a long blond wig, backward baseball hat, track pants and a hoodie. The other person needs a long brown wig, backward baseball hat, a dark trench coat and jeans. 4. 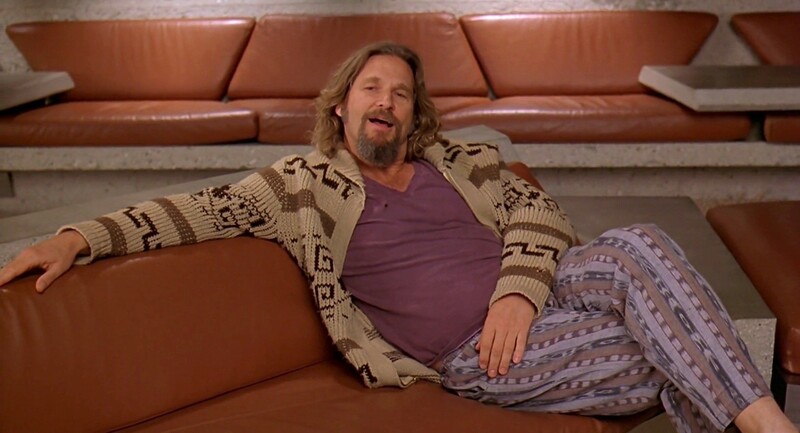 The Dude: The iconic character from The Big Lebowski just wants his rug back. If you nail the costume and drink white Russians, you're solid. You'll need: A white T-shirt, a dingy bathrobe, flannel pajama pants, black sunglasses and sandals. 5. Miss High Times: High Times magazine actually crowns a Miss High Times during Cannabis Cup events across the country. You'll need: A crown and a sash proclaiming your title. 6. Buddie the Marijuana Mascot: Ohio's marijuana-legalization mascot is perhaps the most ambitious on the list. The character has risen to fame as voters prepare to vote in November. You'll need: A nugget for a head, a white muscle suit, green booties, gloves, and a Speedo. Top it off with a blue cape and the letter "B" on your chest. 7. Super Trooper: The cult classic is making a comeback, with a second movie due out next year. Ride the popularity wave. You'll need: A cop uniform (more specifically a state trooper uniform), a sweet mustache and a bag of weed. 8. Ted: Seth MacFarlane's pot-smoking teddy bear is lovable but foul-mouthed. You'll need: A teddy bear costume and dirty jokes. 9. Cheech and Chong: The world's most famous weed duo (current generations may argue on behalf of Harold and Kumar) are baked beyond comprehension. Impersonate your best stoner — but from the '70s, man. You'll need: A short guy with a big mustache, and a red tank top, beanie and suspenders. A tall guy with a red bandanna, jean shirt and pants.